A continent now flourishing with economic superpowers, Asia is comprised of countries that were built by centuries of bloodshed. Entire periods of war for unification are a common theme within the East—certainly something unique to the region. Indeed, history is a well-known lover of heroes. Fearsome warriors have been glorified and romanticized since time immemorial. Therefore, it is unsurprising that Asia produced certain individuals oozing with martial might and badassery during the years when it was engulfed in mutual conquest. 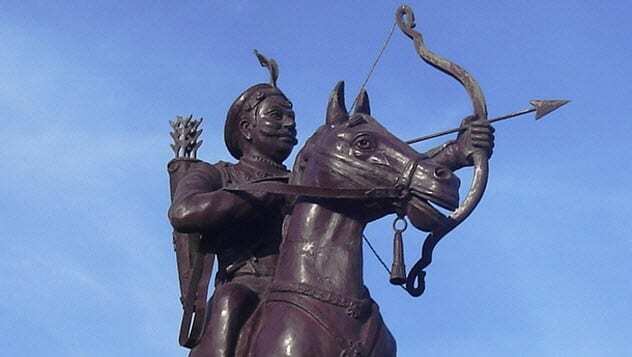 Hailing from the Indian Chahamana dynasty, Prithviraja III (aka Prithviraj Chauhan) was a warlord and king who is known as one of the fiercest men in history. Inheriting the throne at the tender age of 11, he was declared successor of the kingdom on merit of his bravery. To top things off, he was one of the few fighters throughout history credited with victory over a lion in barehanded combat. As for his skill as a warrior, Prithviraj was particularly noted for his ability to fight with precision without sight. While blindfolded, he was able to hit an archery target by virtue of sound alone. Though likely more a tale of folklore than historic account, this skill set came in handy when he was captured by his enemy Muhammad of Ghor. His captors burned out his eyes with red-hot irons. Blinded and held captive, our Indian hero didn’t lose hope. Presumably wanting to show off his “honored guest,” Muhammad held an archery competition in which Prithviraj struck the target dead-on—even without his eyes. Then he supposedly killed his captor with a single strike after hearing the sound of Muhammad’s voice. Prithviraj promptly escaped with the help of his friend Chand Bardai. Though that particular account remains a legend, it cannot take away from the endless conquests and martial victories the warrior king achieved throughout his life. Prithviraj will be remembered as one of India’s greatest kings forever. When we think of feudal Japan, we generally consider the most fearsome warriors to be samurai or ninja—and for good reason. However, few people are aware of the unsung warrior monks who roamed the region during that era in search of enlightenment (and sometimes just a good fight). Jomyo Meishu of Tsutsui, a warrior monk in the early 1000s, was as tough as an overdone steak and is no doubt one of the greatest monks ever to have lived. Garbed in a suit of black armor with a quiver full of arrows, swords on his side, and a naginata in hand, Jomyo Meishu stood firmly on the banks of the Uji River. Behind him was the monastery that had raised him. In front was an army of bloodthirsty Taira samurai, separated from Jomyo Meishu only by two thin wooden beams spanning the water. With his words barely out of his mouth, he let loose an arrow straight into the throat of an enemy. Enraged, the samurai returned fire, but Jomyo Meishu remained calm. With a supreme showing of skill, he sniped his quiver empty, felling 12 samurai on the spot and incapacitating another 11. Not a single arrow missed its mark. Still unsatisfied with his kill count and teeming with battle intent, Jomyo Meishu sprinted across a beam like a veritable medieval gymnast, naginata whirling with abandon. Tearing through five men in a heartbeat, he finally lost his spear in the belly of the sixth, at which point his sword flashed from his side. Possessed by the fever of battle, he slashed through another eight until he delivered a skull-shattering blow that snapped his sword into pieces. Just when it appeared that he was done, Jomyo Meishu pulled his last knife and kept going, fighting until he had nothing but bare hands. Eventually, he was pulled from the fray, where he finally took stock of his losses. Upon seeing the 63 dents in his armor, he simply chuckled, brushed himself off, and walked away, praising the Buddha as he went. 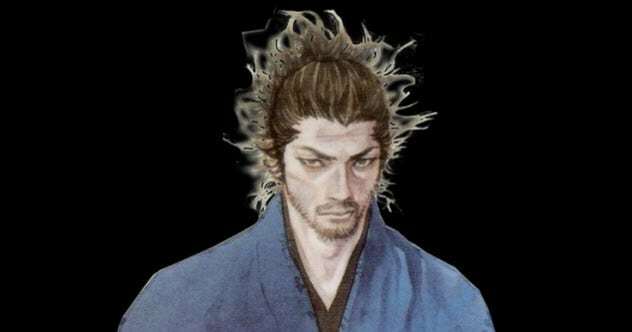 Another Japanese hero, Miyamoto Musashi wielded his sword like no other, pioneering the development of sword fighting within the country. A vagabond of sorts, he began traveling the nation to duel from a young age, making a name for himself with nothing but a wooden sword he had fashioned from a tree branch. Perhaps his greatest moment came following a string of duels against the Yoshioka School. 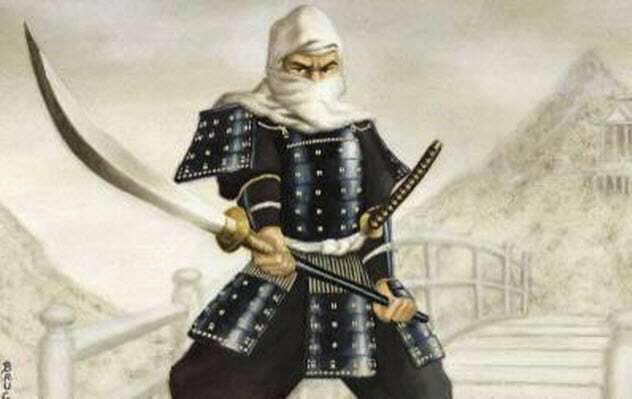 After Musashi killed the school’s master and his brother in respective duels, the school plotted to kill the legendary swordsman under the guise of a third duel at night. Suspicious of the unusual selection for the time of day, Musashi arrived hours earlier, hiding in the fields in wait for his opponent. Sure enough, his adversary arrived with a bona fide army with retainers, swordsmen, riflemen, and archers ready to ambush Musashi. At the perfect moment, he sprang forth, killing his opponent in one stroke, only to be surrounded on all sides. Closed in and tremendously outnumbered, Musashi drew both his swords, cutting a path through the fields and finally escaping into the night. From there, he created his trademark Nito Ryu (dual-wielding) style of kenjutsu that would shake the boundaries of swordsmanship in his era. Easily the most legendary ninja ever to walk the Earth, Hattori Hanzo is the role model of all night-crawling assassins. In fact, his skills were so great that he was thought to have supernatural powers. A full-fledged ninja at age 12, Hanzo would earn the moniker “Hanzo the Demon” around 16, instilling fear in the hearts of all his enemies. So mysterious were his abilities that many of his achievements were only thought to be possible through precognition, psychokinesis, and teleportation. 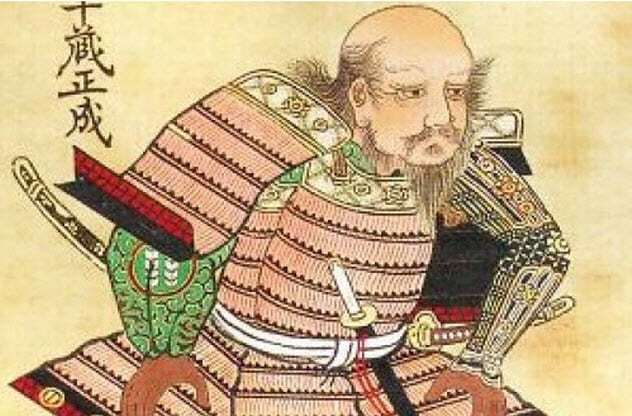 Another survivor of outnumbered battles, he once led 30 men against Takeda Shingen’s troops, effectively mounting a counterattack and nipping their advance in the bud. Although Hanzo had already lived a life of distinction on the battlefield, his most memorable achievement was escorting Tokugawa Ieyasu back to Mikawa with the aid of Iga ninja in the area. Tokugawa would go on to become unified Japan’s first shogun, and Hanzo would die at age 55 (some sources say 54). His legacy remains to this day in Tokyo where “Hanzo’s Gate” stands proudly at the Imperial Palace. Yi Sun-shin was Korea’s pride and symbol of bravery and might. His legacy can be seen to this day with his statue in Gwanghwamun Square towering over tourists and locals alike. A decorated admiral, Yi’s life sounds like something straight out of a movie. After a brief run-in with the king over refusing poor orders, Yi fought the defining battle of his life, solidifying his position in the hearts of all Koreans. Badass quote out of the way, he would proceed to deliver an overwhelming victory against all odds. 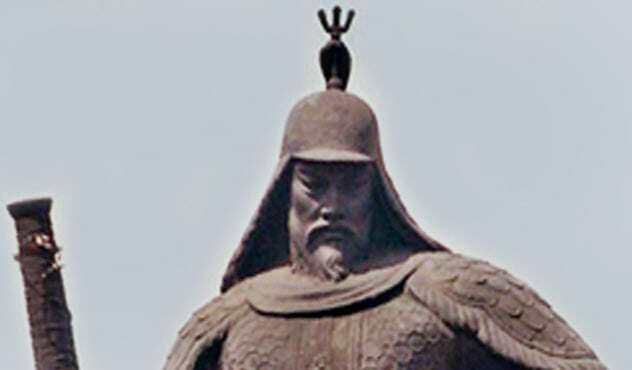 Single-handedly, Yi led one of military history’s most startling naval achievements. 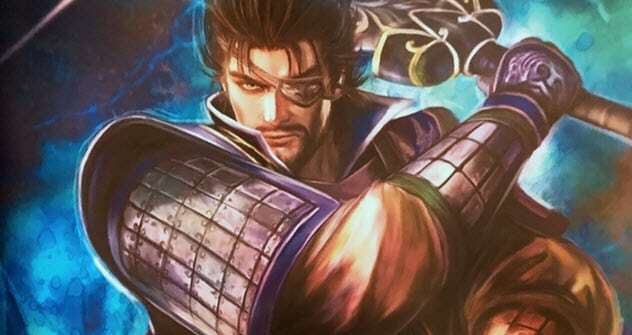 A formidable warrior in his own right, “One-Eyed Dragon” Xiahou Dun was a man you would rather escape than battle. As if his strength and skill weren’t enough of a deterrent for his enemies, Xiahou Dun committed one particularly insane act on the battlefield that would put a shiver down the spine of any man. During a campaign under Lu Bu (who appears later on this list), Xiahou Dun took an arrow to the left eye. While this would probably have most men on their knees, the general took things a step further than Prithviraj by promptly pulling out his eyeball with the arrow and eating it. Later, he earned the prestigious title of “Great General,” no doubt in part due to his monstrous reputation. If you ever wondered what it takes to instill fear in all who see you, now you know the trick. Just pull out your eyeball and start a-munching. The first of two ladies on this list, Wu Mei was a martial arts genius. Said to have been one of the legendary Five Elders of Shaolin, she survived the temple’s destruction during the Qing dynasty. Born of a general in the Ming imperial court, she was privileged with access to the finest education and martial arts—certainly abnormal for that time period. Not one to squander the opportunities presented to her, she became a master of Shaolin martial arts, Wudang martial arts, and Yuejiaquan. Having absorbed the techniques of others, Wu Mei pioneered many of her own martial arts. 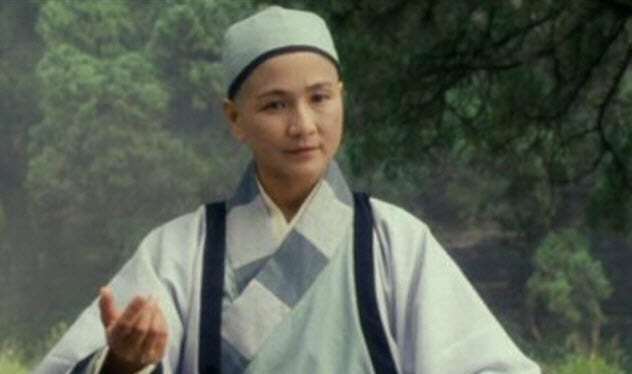 She is credited with the perfection and creation of arts including Wing Chun, Ng Mui style, Dragon style, White Crane, and Five-Pattern style. Her martial virtuosity was unparalleled, and she defied the stereotype of male warriors in her time, playing a pivotal role in molding the course of China’s history. As Lu Bu was certainly a man better admired from a distance, you probably would want to stay as far away from him as possible. A massive man possessing immense skill in every relevant warrior’s discipline of the time, Lu Bu was a badass in every sense of the word. However, his greatest defining quality was his treacherous nature. Lu “the defector” Bu went through at least five masters, serving and betraying them on his own whims. By no means an exemplary man, he had an affair with his master’s maid and was also known to have designs on the wives of his men. Eventually, his eventful life of backstabbing was cut short. Though it must be said that Lu Bu’s strength allowed him to live a very prosperous life, his previous betrayals came back to bite him. 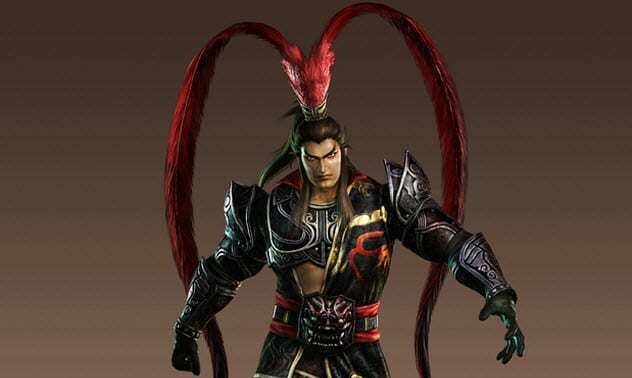 In the end, he was executed by hanging by Lord Cao Cao. Truly a Goliath of a man, Dian Wei was exactly what you’d expect in a wartime hero. Thought to have been gifted with superhuman strength, he wielded a pair of twin halberds—each weighing at least 20 kilograms (45 lb). Serving loyally under Cao Cao (unlike Lu Bu), Dian Wei’s uncanny ability to spear men like fish got him promoted to chief commander. Legend has it that he could hold 10–12 spears at once. One account tells of a time when he sprinted headfirst into the enemy wearing two layers of armor. He stopped 10 paces away to spear a man with each weapon. 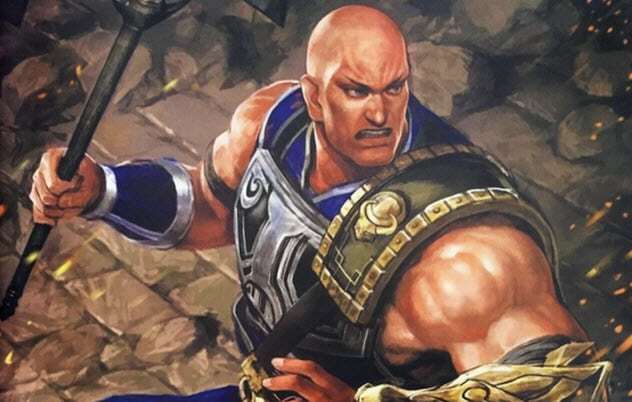 As Cao Cao’s personal bodyguard, Dian Wei stood by his warlord’s side with a giant axe—apparently with a 33-centimeter (13 in) blade. Dian Wei was so intimidating that people were too terrified to even look at him. His faultless loyalty eventually cost him his life. He played the rearguard after his lord tried to take a governor’s widowed aunt as a concubine. Barring the path against hordes of enemies, Dian Wei fought like a madman, even using two enemy corpses as weapons when he had no other options. Finally, he fell after being totally encircled and wounded at least 10 times. Last but certainly not least, Khutulun was a warrior woman who put men to shame. 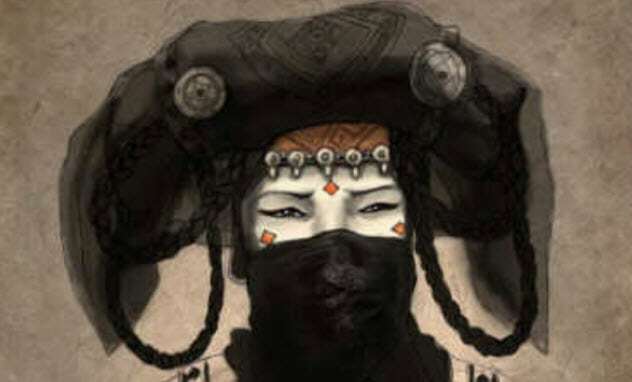 Cousin of the infamous Kublai Khan, Khutulun was a princess who didn’t quite fit the mold. Described in Marco Polo’s accounts as a superb fighter, she rode into many battles alongside her father. As a Mongol princess, she loved to wrestle. Yet her immense skill set her apart. Although it was common for Mongol women to wrestle and shoot bows, Khutulun was better than any man—so much so that she found it hard to marry. Eventually, she declared that she would marry any man who could best her in a match. All losing challengers would owe her 100 horses. Her athleticism and strength garnered her a herd of 10,000 horses. In the end, she married a man of her choosing whom she had never fought in the ring—amazing considering the cultural norm of arranged marriages at the time. Andrew is a first-year student in Hong Kong, recovering from ME. He loves learning and researching interesting topics and is excited to have a place to write it all down! Read some amazing stories about forgotten female warriors on 10 Women Warriors Forgotten By History and 10 Forgotten Female Warriors Who Shocked The Ancient World.